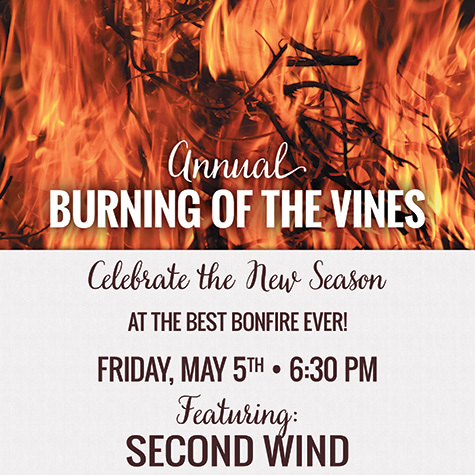 Join us for our 3rd Annual "Burning of the Vines." Celebrate the new season by burning last year's growth with a huge bonfire! Food Trucks, Live Music by Second Wind. Bring a lawn chair. Over 21 only.